There is the ground. There is the call to prepare it. There is the seed. There is a variety of harvests. There is you; the bearer of the seed – the preacher. There is the call to consider the soil of your own heart and the soil of the hearts of those who hear your proclamation of Jesus. It is not for the faint-hearted but it is for the good-hearted. It is for those who are called to bear the burden of preaching the Word. It is a burden because such a call involves power which can blind us to our weaknesses. “Break up your fallow ground” is a good word to ponder. Considering the four kinds of soil in Mark 4 is a healthy and humbling exercise to linger with. This website, an expression of Kiwi-Made Preaching (KMP), exists to facilitate such reflection. It has been some time since we have posted an article. This website has lain fallow – we are ploughing again! We have well over twenty contributors who will write for this website (you can read a short bio on each under “contributors” above). They are from across the spectrum of denominations and vocations; and are united in Christ and the ministry of preaching the Scriptures. A new article will be posted every week or two. You are invited to engage with the author by posting comments and questions. Each of the contributions will be a reflection of what is current for that person. However, I have asked that from time to time contributors engage with a theme for 2013 – “The Year of Prayer: prayers preachers pray.” This is an invitation for readers to have a window into the soul of the preachers. What kind of prayers do they pray before, during and/or after preaching? What prayers preoccupy them? 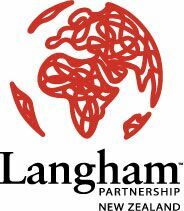 For those who don’t know me (Geoff New) – I was approached by Langham NZ to assume the leadership of KMP. Paul Windsor’s contribution and vision for KMP has led us to a good place. Paul needed to relinquish the role as his own response to the mission of God continues to develop and a move to Asia seems likely. As I pondered and prayed about the role (and it took a LONG time), one of the key considerations was the intent of Langham to have a “practitioner” in the role. As someone charged with week-by-week preaching, that term resonated with me. I want to be part of something which will bless and enrich other preaching-practitioners. There is an overwhelming amount of how-to’s and gimmicks which promise much to preachers but ultimately are not good for the soul. Either that of the preacher or those to whom they preach to. My experience of KMP is that it is a movement that endeavours to ground preachers in the Scriptures so that Biblical fruit can emerge. I want that and want to be a part of that. A bit about me – I have been the minister of Papakura East Presbyterian Church since 1997 (hold off googling the church just at the moment – the website is under a major make-over). I studied at the Bible College of New Zealand in the mid-1990’s, then completed ordination studies at Knox College (Dunedin) and completed a DMin through the Australian College of Theology in 2011. Preaching forms the DNA to my sense of call. So welcome to this website – or welcome back as the case may be. There is God the Father, God the Son and God the Spirit. May you know the power and peace of Christ as you preach and live according to the Scriptures.